Incredible Lake Hickory home with amazing lake views from all sides, custom swimming pool, three floor elevator, and is located just outside the city limits of Hickory. This home was expertly designed with gated grounds, gourmet kitchen, and all of the features one would expect in a home of this quality. The main level features an impressive entry with vaulted ceilings. To the right is the formal dining room. The great room welcomes you with a custom reclaimed Chicago brick fireplace and a wall of windows with amazing lake views. Adjacent to the great room is the large gourmet kitchen and breakfast area. It includes custom cabinets, granite counters, and high end stainless appliances. There is an induction cooktop, warming drawer, double oven, French door fridge, wine fridge, and a large walk-in pantry. Steps away from the kitchen there is a butler's pantry with a drop zone area with additional cabinets that leads to the mud room. There is a private office, dog grooming room, full bathroom, and laundry room. Additional entertaining space is available in the keeping room which is the perfect place to watch television with the custom 5 speaker sound system and enjoy the warmth of another custom reclaimed Chicago brick fireplace. The first floor also offers a large bedroom with adjoining bathroom and a craft room with plenty of storage. Access to the second floor is available via the two sided staircase or elevator. The master bedroom suite is designed with lake views and comfort in mind. It features a large sitting area, abundant space for large furniture, and an inviting master bathroom that has a large soaking tub, custom-tile shower, custom closet, and water closet with Toto toilet. The second master suite is well appointed with a private bathroom and impressive closet. The second floor also includes another office with amazing lake views, the fourth bedroom, full bathroom, and a versatile bonus room. The walk-out basement offers even more room to roam and is accessible via the elevator or the stairs. It has a large game room, full bathroom, and a guest room. There is a large, temperature controlled, finished area that offers 9,000 cubic feet of abundant storage. As you exit the basement you are greeted by a beautiful patio that overlooks the lake below. To the right there is a fenced dog area perfect to keep our four legged friends exercised but a small enough area to maintain. To the left there is a custom heated pool and built in hot tub, that is strategically placed to capture view of the lake. As you walk or drive down the paved path to the boat dock, you will admire the beautifully manicured lawn and landscaping, that is maintained with a 15-zone irrigation system fed with water from the lake. The covered boat dock includes plenty of space for personal watercraft or small sailboat, a 9,000 lb. boat lift, and storage space for rafts and swimming toys. The Seller may be willing to sell the Hurricane boat with skis, rafts etc. Another great part about this home is its location. You can get to the Hickory airport, retail Hickory, or downtown Hickory in less than 15 minutes. The Charlotte Douglas Airport is less than an hour ride and Asheville is only 90 minutes away. This property is just 5 minutes from Lake Hickory Country Club at Catawba Springs which offers a scenic and challenging 27 hole golf course and clubhouse. There are additional golf courses also available within a thirty minute drive. Lake Hickory was named after the nearby city of the same name. The lake covers almost 4,223 acres with 105 miles of shoreline. Full pond elevation is 935 feet. Lake Hickory is a reliable source of water for the nearby cities of Hickory and Longview, North Carolina. 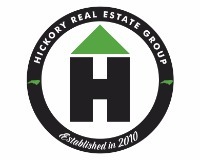 Call Mike Kelly 828-234-0479 or email Mike@hreg.net to schedule a showing.